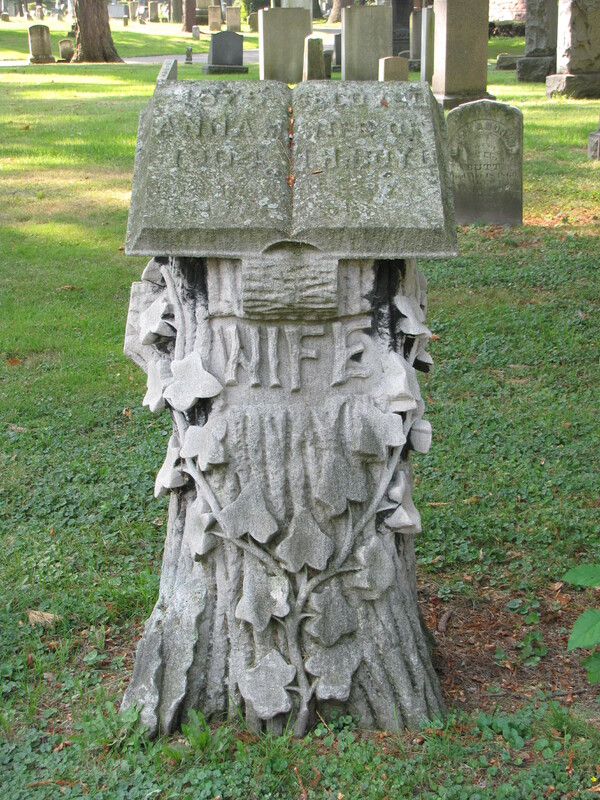 The tombstone above is topped with an open book that has a mourning drape over the right corner of the column. The open book is a fairly common symbol found on gravestones. The motif can represent the Book of Life with the names of the just registered on its pages. This book, like any book in a cemetery, can also symbolize the Word of God in the form of the Bible. The open book is often used to display the names of the deceased on the pages of the open book as in the examples above and below. 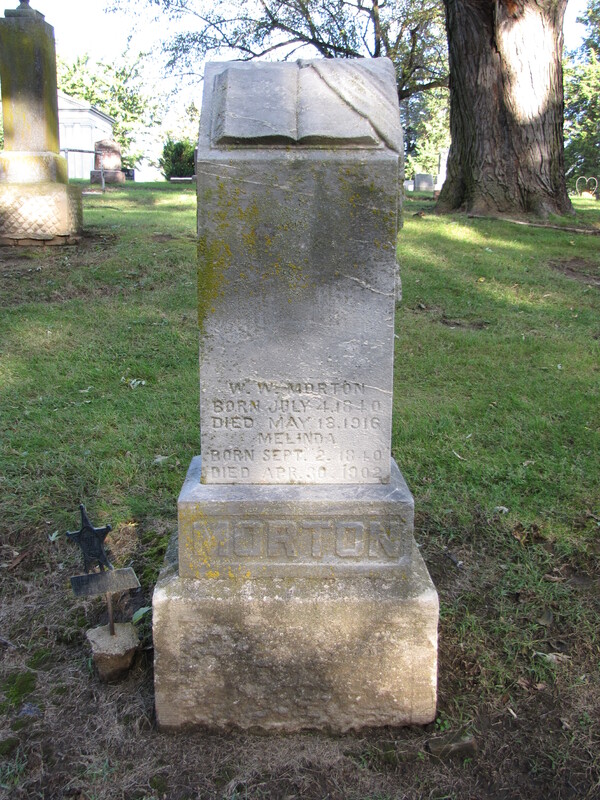 Captain Rostron had a book on his tombstone (rescued Titanic survivors). 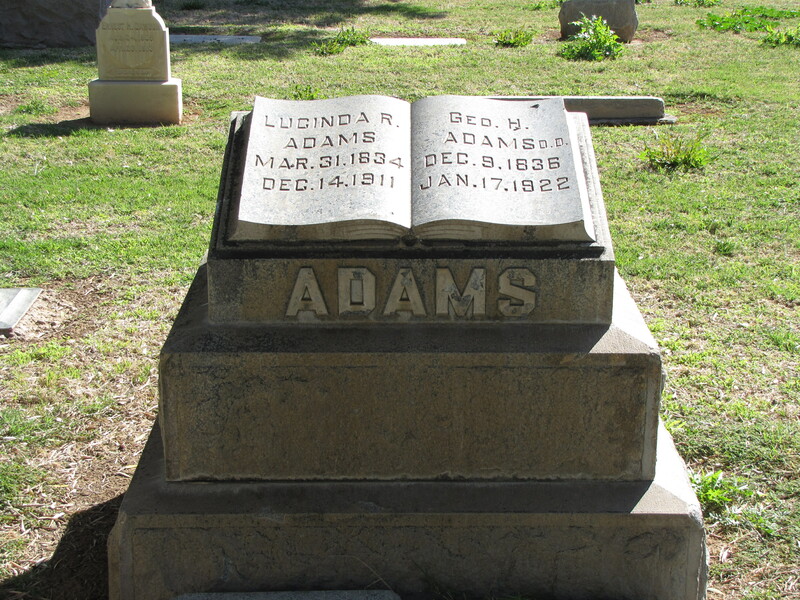 Harold Lowe of the Titanic had a grave like an open book a bit like this one.